It is impossible to think of the city of Hoi An without the thought of the beautiful velvet brocade and the joyful celebrations of the annual Silk Festival every June that fills the streets with thousands of visitors. During the two day event, artisans from the silk villages of Van Phuc, Phung Xa, Ma Chau, Tan Chau, Cham My Nghiep, will demonstrate the craft of producing silk products, reports the Tienphong Online Newspaper. Demonstrations will include nearly every aspect of the trade from raising silkworms to silk weaving to designing and physically making the products. 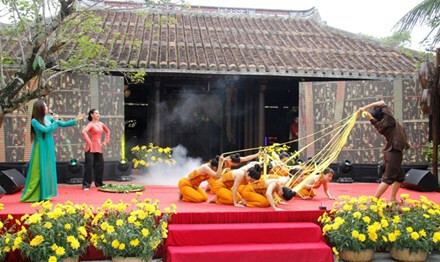 Many other activities including exhibitions of silk items from ancient dynasties, fashion shows, food and drink events, music and dance performances are also planned for the festival. Jointly sponsored by the Quang Nam Silk Company Limited and the Japan Silk Association, the annual event offers artisans an opportunity to exchange experiences and seek commercial trade opportunities both local and foreign.